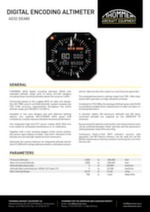 THOMMEN AD32 digital encoding altimeter (DEA) with extended altitude range suits to every aircraft category including those reaching altitudes above the usual air traffic. 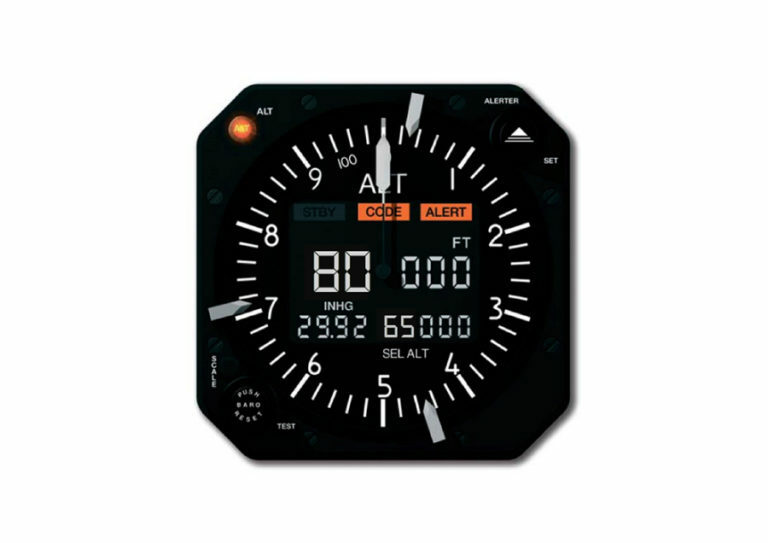 Technically based on the rugged AD32 air data unit design, this DO-178B Level A certified altimeter system exceeds any TSO C10b accuracy requirements throughout the entire altitude range up to 80’400 ft / 24.500 m.
Available in two case designs and with different lighting options incl. 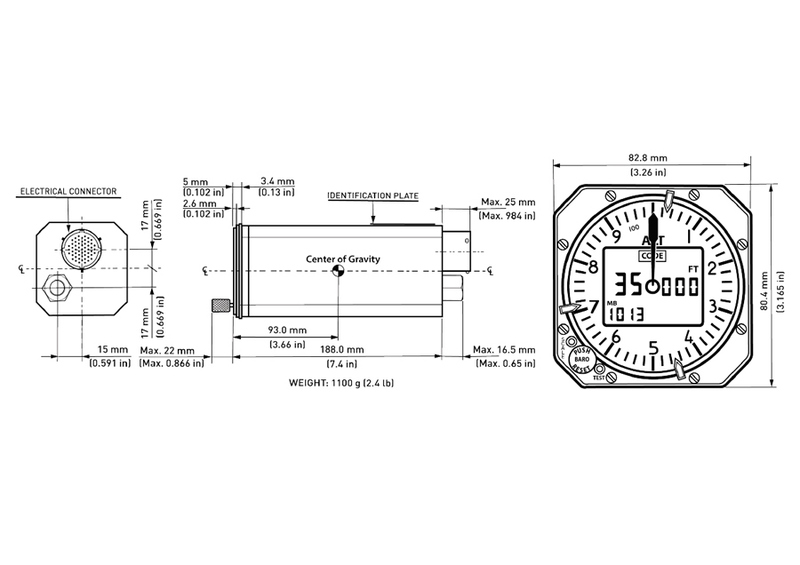 optional MIL-STD3009 NVIS green A/B compliance, it easily replaces obsolete mechanical altimeters. The integrated high-end VCT sensor makes AD32 DEA free from needs for scheduled maintenance or re-calibration. Together with a fast reacting stepper-motor driven pointer, this sensor type enables virtually “real-time” indication of the altitude also during high-speed vertical maneuvers. Optionally the system features an integrated altitude alerter (up to FL650) with configurable parameters, altitude pre-select, alerter light and discrete output to a warning tone generator. The extended barometric setting range from 700…1066 mbar allows QFE operation on high-elevation airfields. Compliant to TSO C88a, the analogue Gillham gray code (ICAO) is provided to enable direct replacement of older encoders or encoding altimeters. In parallel, labels 203 (pressure altitude) and 204 (baro corrected altitude) are supplied via two ARINC429 TX channels. By pressing the optional scale button, the measurement units can be switched between meter and feet and the barometric setting between mbar/hPa and InHg. Continuous Built-in-Test (BIT) software secures safe operation; the BIT-failure memory can be read out via the RS232 maintenance interface without removing the unit from the aircraft.